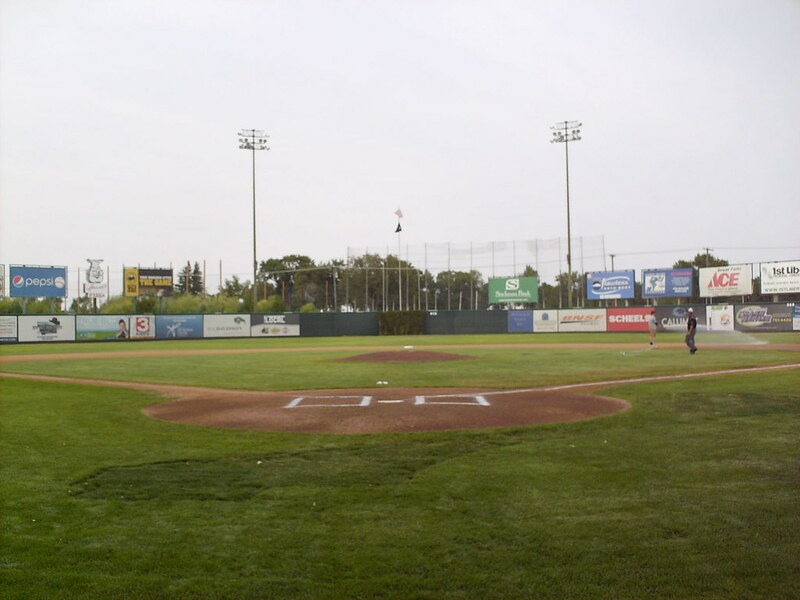 The view from behind home plate at Centene Stadium. 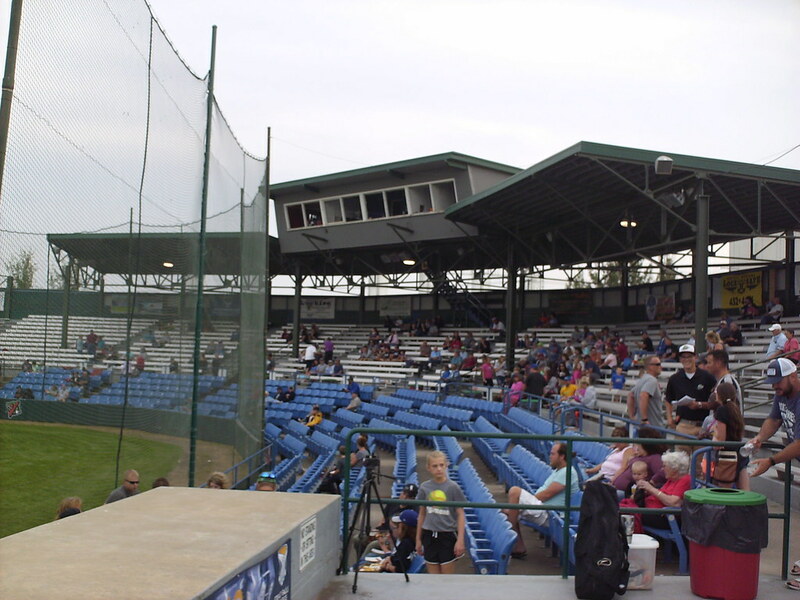 The grandstand at Centene Stadium, as seen from the third base side. 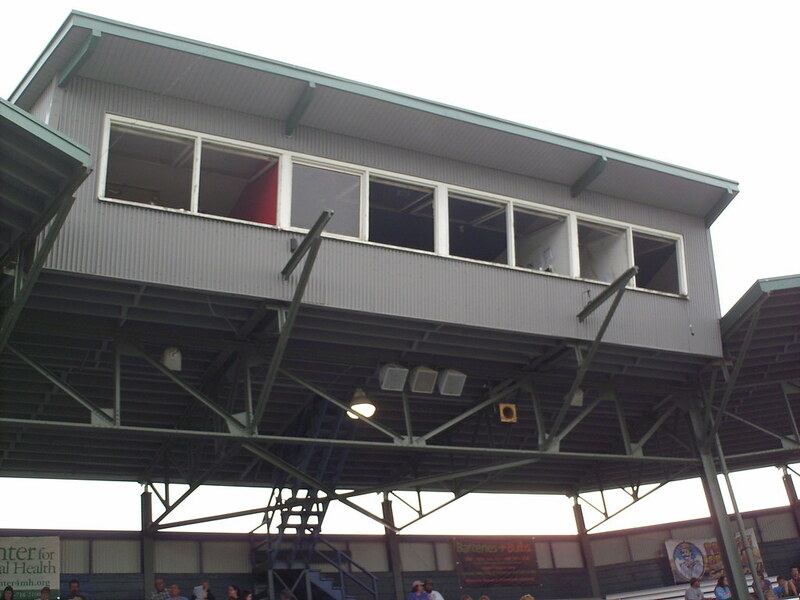 The pressbox sits atop the grandstand roof. 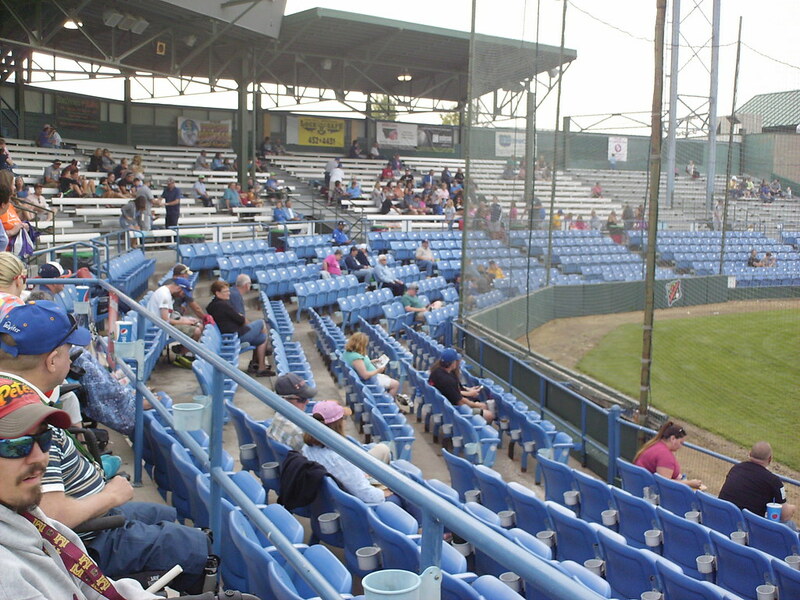 The main seating bowl features plastic fold down box seats with aluminum bleachers under the cover of the roof. 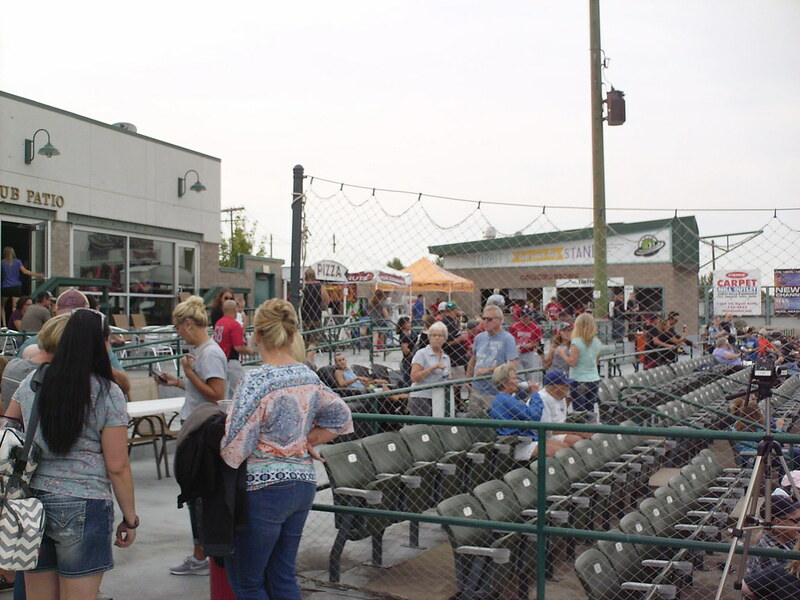 Recent renovations have added an open patio area in the left field corner with an enclosed club and suite area and several rows of seating down the third base line. 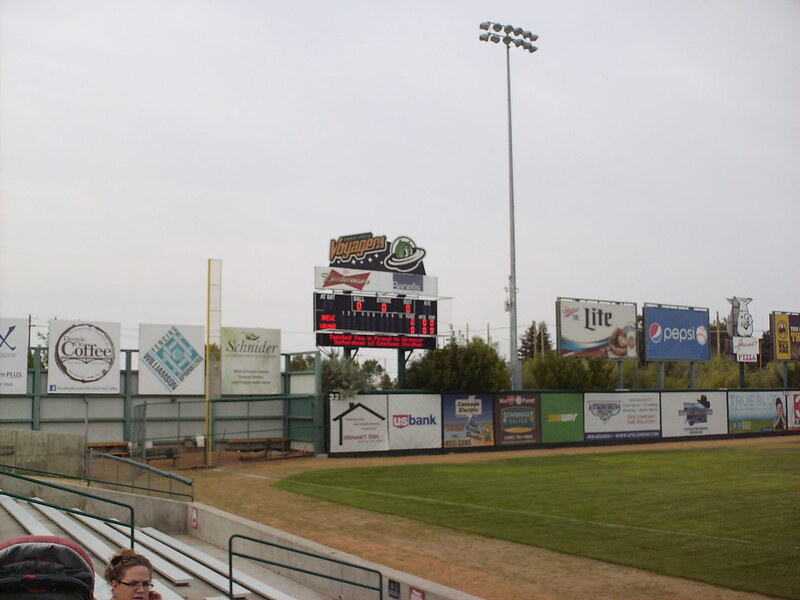 A small grass berm sits at the end of the seating bowl in the left field corner. 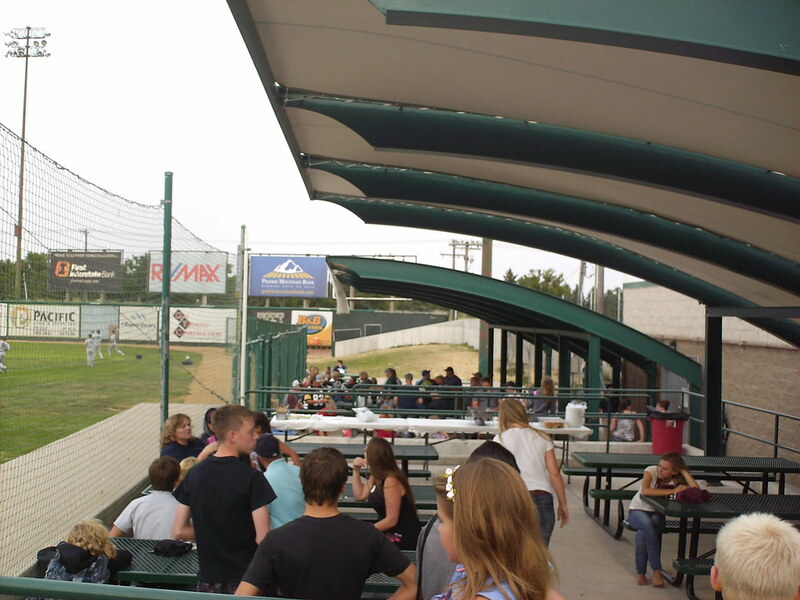 Covered picnic decks and another small berm run the length of the first base line. 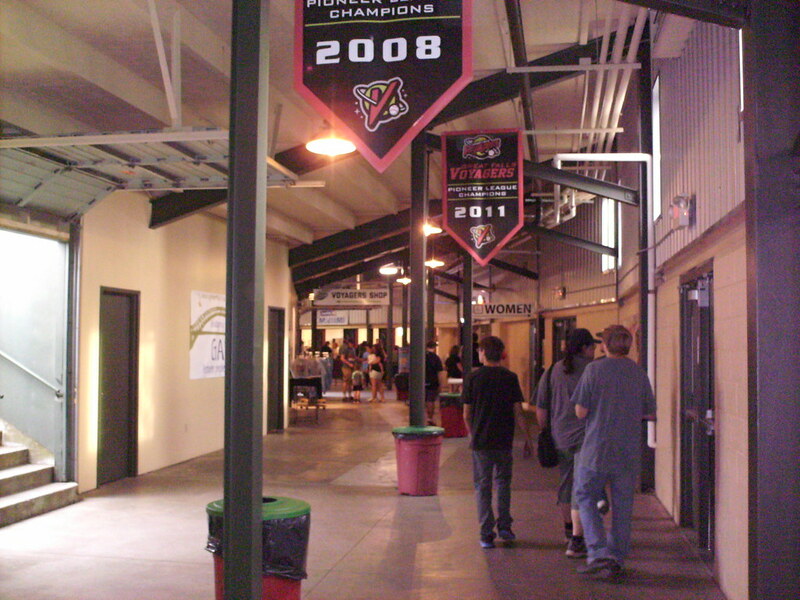 The grandstand runs underneath the seating bowl at Centene Stadium with banners hanging from the ceiling to celebrate the Voyagers titles. 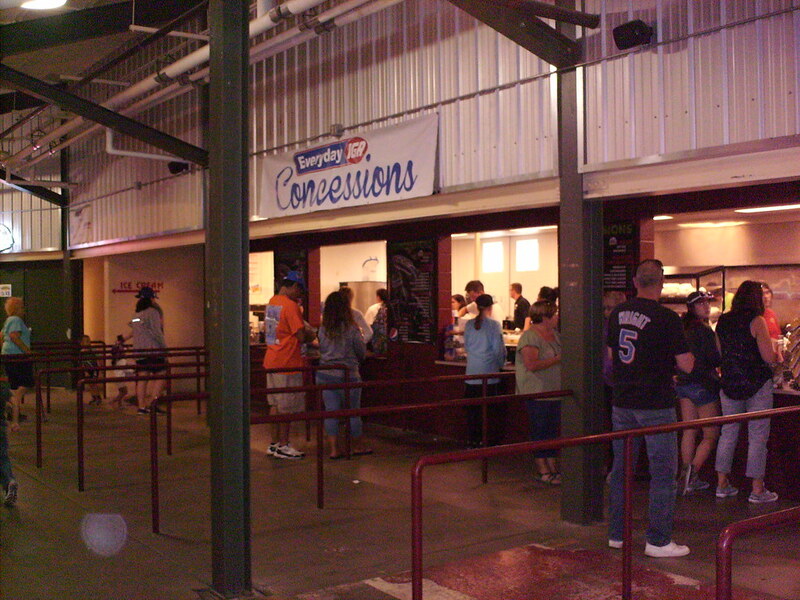 Concession stands along the concourse feature metal fencing to keep fans in line. 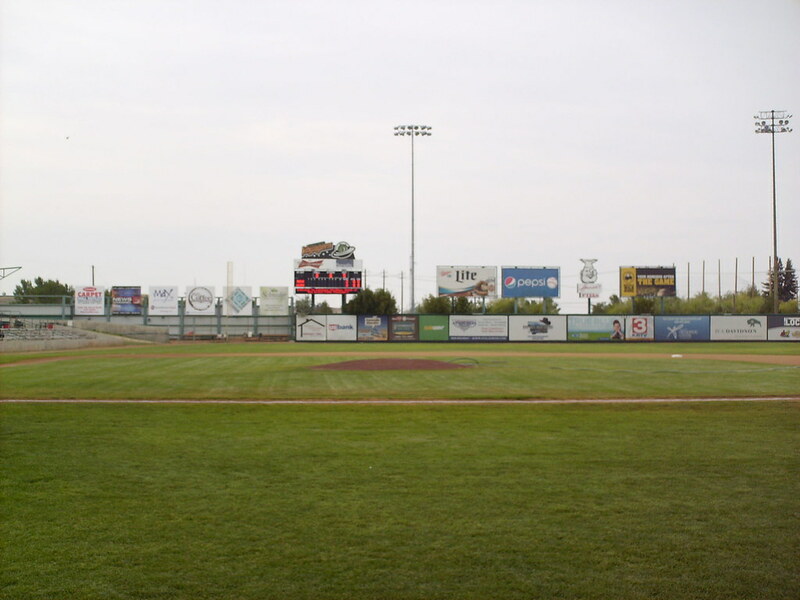 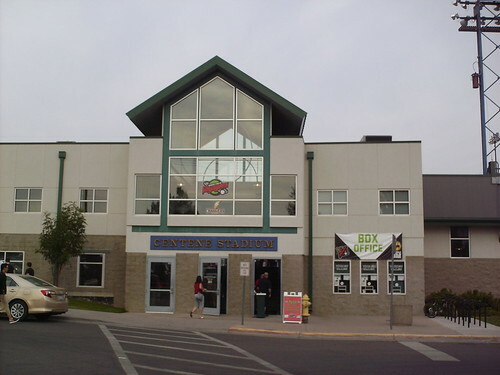 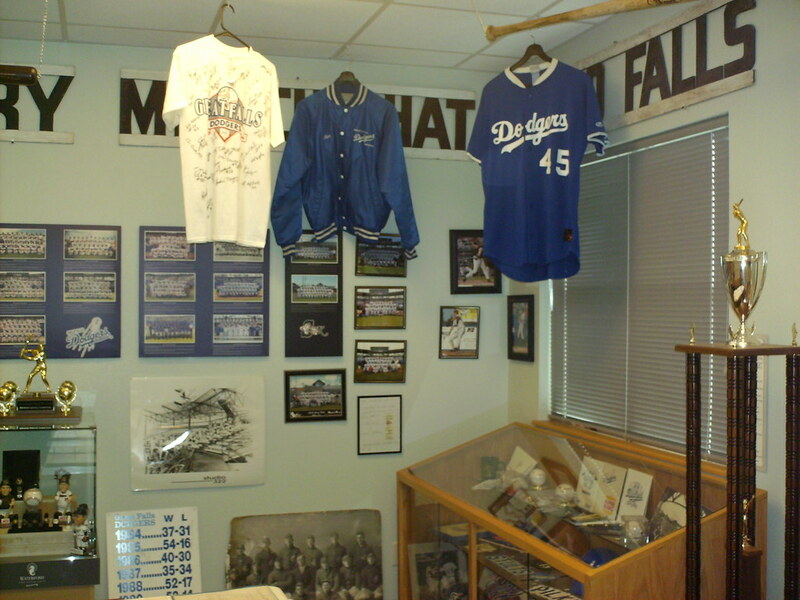 The Great Falls baseball museum and Hall of Fame at Centene Stadium celebrates the history of baseball in the city. 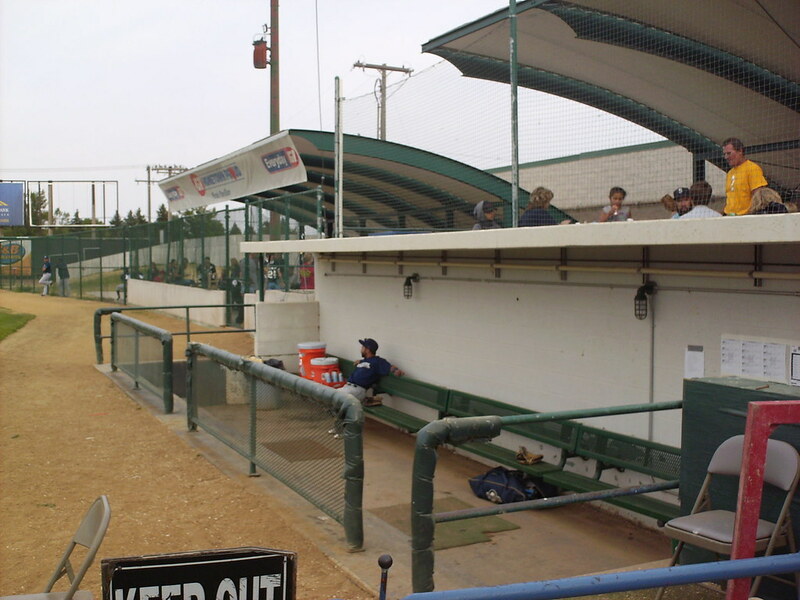 The dugouts are fairly shallow and mostly open to the elements. 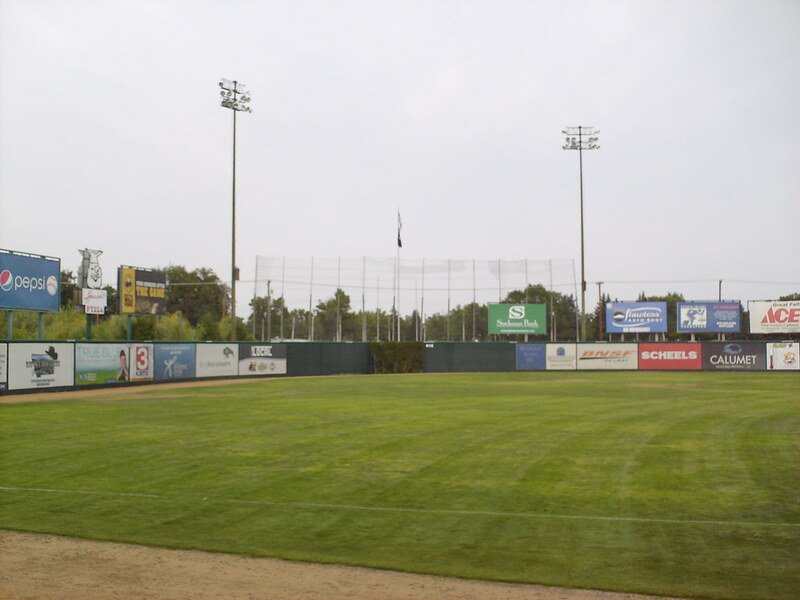 The outfield wall. 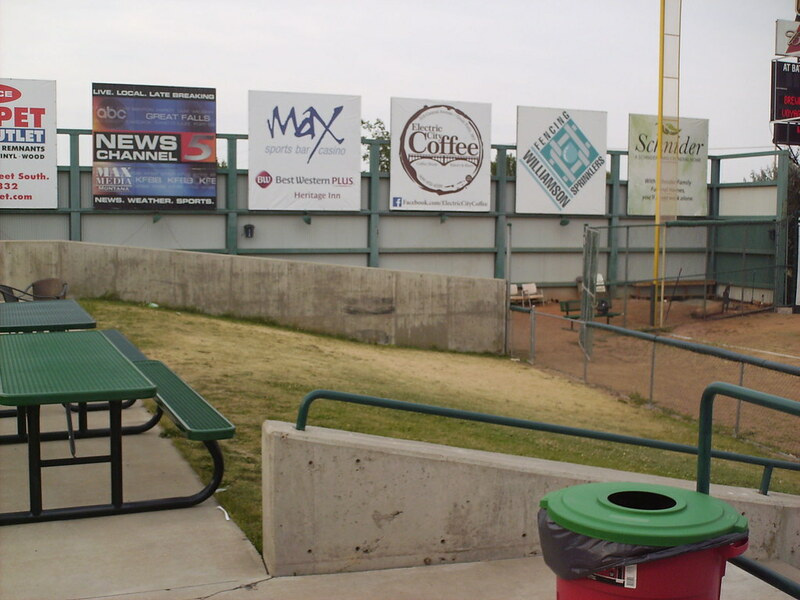 An ivy covered electrical box in dead center field sticks out into the field of play. 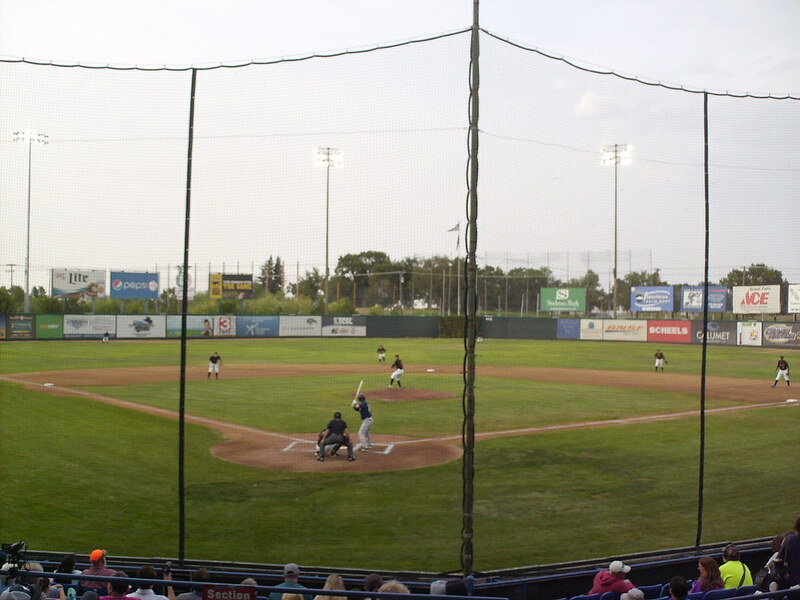 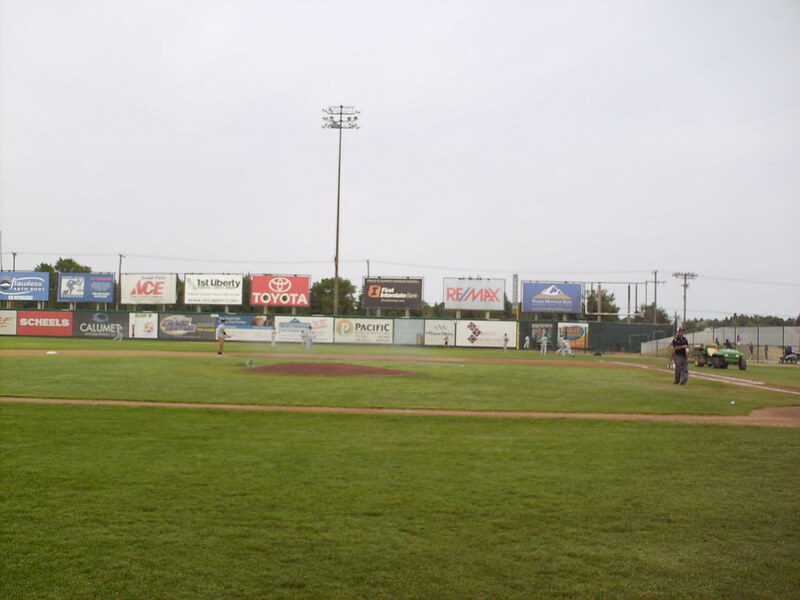 The Great Falls Voyagers on the field during a game at Centene Stadium.